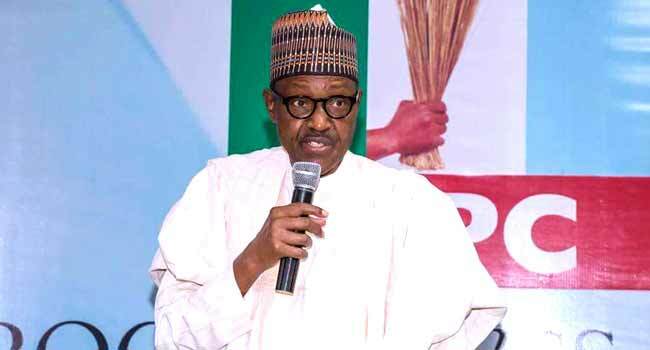 President Muhammadu Buhari has asked the leadership of the All Progressives Congress (APC) to conduct free, fair and credible primary elections. He made the call during the party’s National Executive Committee (NEC) meeting at the APC national secretariat in Abuja, the nation’s capital. While holding primaries ahead of the 2019 general elections, President Buhari told the APC leadership to do so in compliance with the Electoral Act and the party’s constitution. He also urged them to ensure that critical decisions to be reached at the NEC meeting were in the interest of the party. On the defection of some APC members to other political parties, the President Buhari said their exit was not enough to upset the party. He stressed that the defection merely made a dent in the party, particularly in the National Assembly as the APC remains in control. On his part, the National Chairman of the party, Mr Adams Oshiomhole, believes those who defected left because of their ambition which they felt cannot be realised on the APC platform. He, however, said the party would continue with efforts aimed at reconciling members with genuine grievances. Other party leaders at the meeting are Vice President Yemi Osinbajo and APC national leader, Bola Tinubu, as well as governors on the party’s platform among others. The NEC meeting, thereafter, entered into a closed-door session. There were expectations that the APC leadership would take a position whether or not to adopt direct primaries for the 2019 general elections. The APC NEC meeting comes one day after President Buhari hosted British Prime Minister, Theresa May, at the Presidential Villa in the Federal Capital Territory. The President had, at a meeting with May, said his administration was committed to conducting free, fair and credible elections in 2019. He had told the British PM that the recent polls held in Katsina, Bauchi, and Kogi states have boosted the government’s moral and commended the UK’s support at strengthening democratic institutions in the country. May, on her part, welcomed the assurance by the Federal Government on credible elections in 2019.